Design and build the most ingenious water system in the world? Participate in the planning of mega projects like the $3 billion Croton Water Filtration Plant? Work with state and federal regulators on critical water quality issues? Implement cutting-edge technology for the treatment of 1.3 billion gallons of wastewater daily? Work in the watershed to ensure that 9 million New Yorkers have access to high-quality NYC water? Use GIS to help New York City plan for future water needs? Help plan the future of New York’s energy use strategy? Implement the NYC Green Infrastructure Plan to make the city more sustainable and improve harbor water quality? Bring NYC Water to more than 80,000 New Yorkers through Water-On-the-Go? Earn college credit for hands-on work? Meet industry-leading engineers, project managers, and government officials? 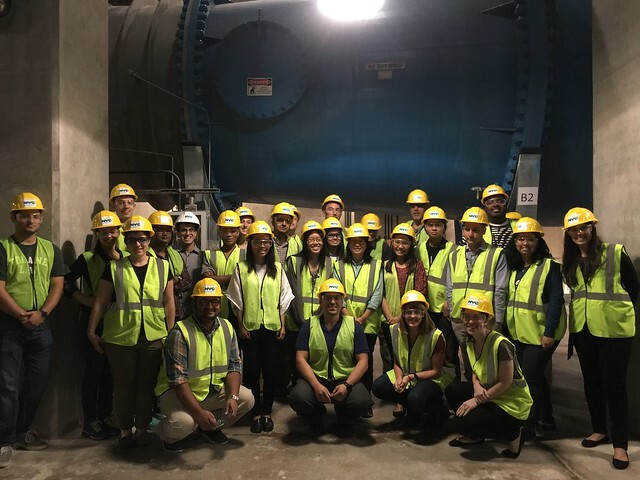 DEP is looking for bright, motivated, and inspired young talent to share our commitment to preserving and protecting NYC’s water supply and making New York City more sustainable. The internship program will give students an in-depth work experience that supports our core functions while also providing a broad overview of our responsibilities and operations through site visits, seminars, and projects. My internship gave me an opportunity to see what many New Yorkers never get to see and experience. We encourage all interested undergraduate and graduate students to apply and are particularly interested in students with engineering training or experience. DEP is an ethnically and educationally diverse organization. As an Equal Opportunity Employer we strive to ensure that you work in an objective and discrimination-free environment.